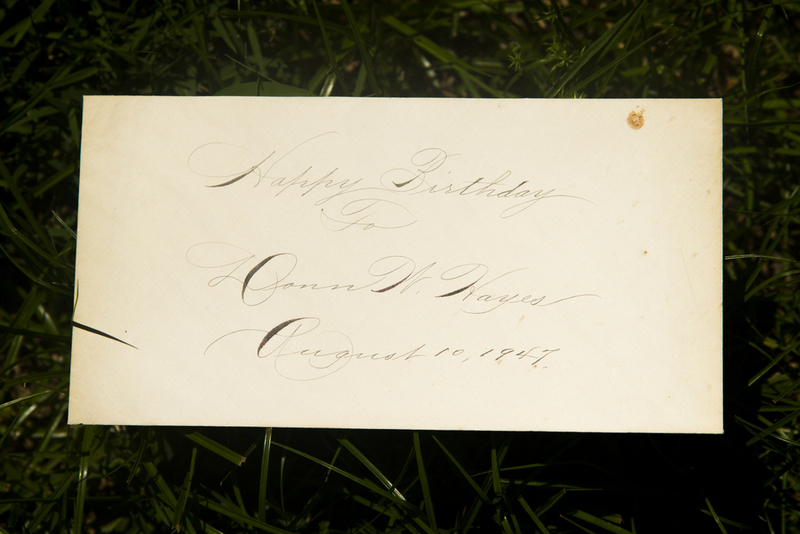 A signature is like a firm handshake on paper, a lasting impression, and in the early to mid twentieth century penmanship was an art. The Zanerian Manual was written by Earl A. Lupfer, who, at the time worked at the Zanerian College: a school specializing in the pen arts and business writing. After several decades this book is still considered the bible to master penmen, especially in Engrossers Script or Roundhand. (formal script with shaded letters in both upper and lowercase) It also includes several fun alphabets after it's in-depth instruction into Roundhand. Due to the popularity and demand for the book there is a reproduction available via John Neal Bookseller, but I was fortunate enough to find a vintage copy on alibris (snatched it up when I saw a copy for under $50.) It's a pretty useful site, I've used it to find vendors and I think in this case I was able to call the bookseller and have them describe the condition. One of the things I love about this book (aside from it's smell) is the ephemera that came with it. 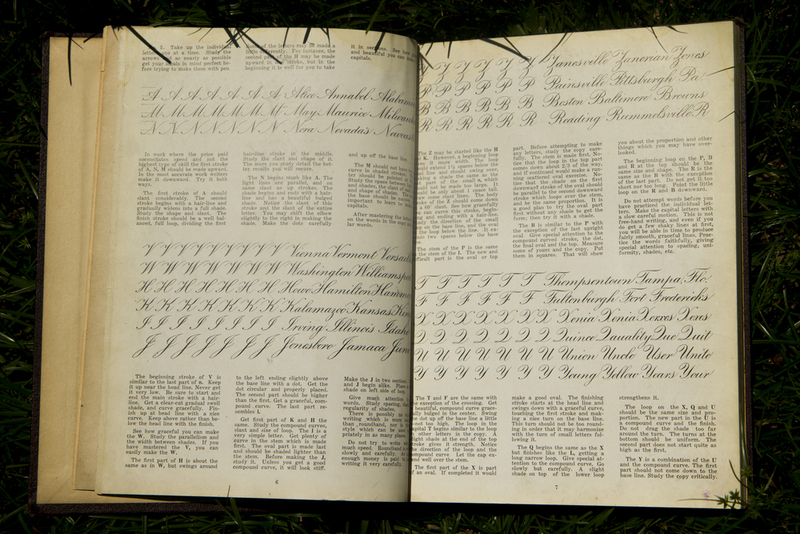 the last several pages of the book were blank, intended for scrapbooking and the previous owner included some examples of lettering they liked. 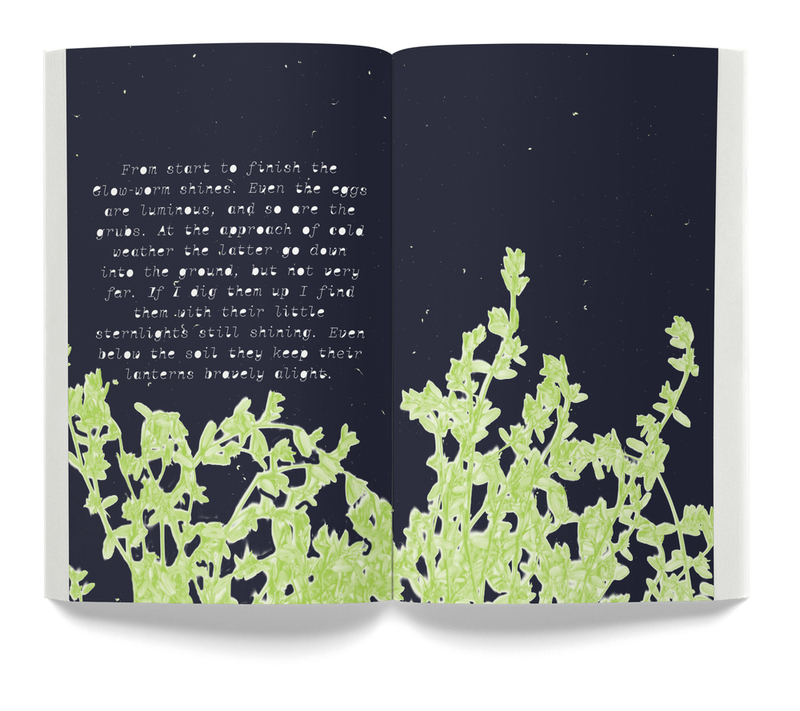 There is even a correspondence between the owner of the book and it's writer: Earl A. Lupfer. I wanted to post some pictures of my own penmanship practice but they don't compare to these penman. Those free flowing flourishes and flares. It really makes me appreciate the fame of John Hancock, immortalized in his signature. Pardon me for my use of the word serendipitous, but that's just due to the serendipitousness of this. 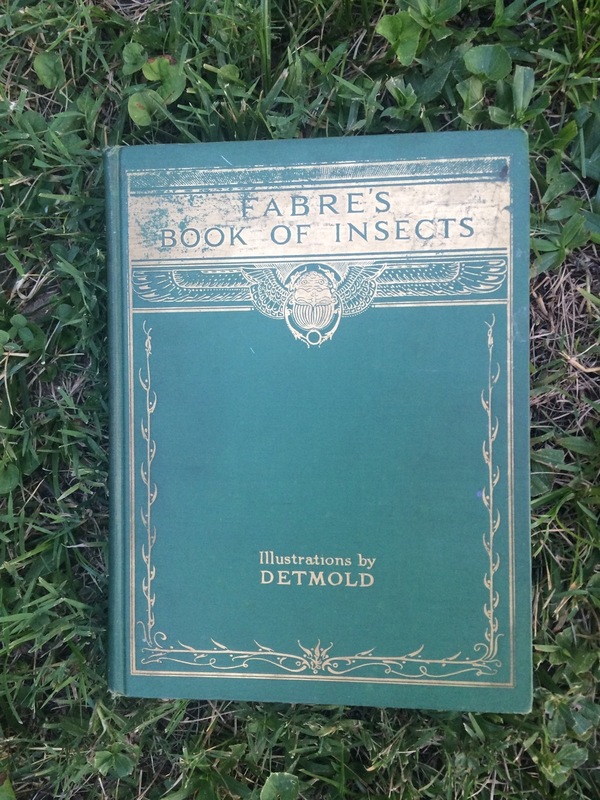 These are the original volumes of Souvenir Entomologiques, and they are stunning. 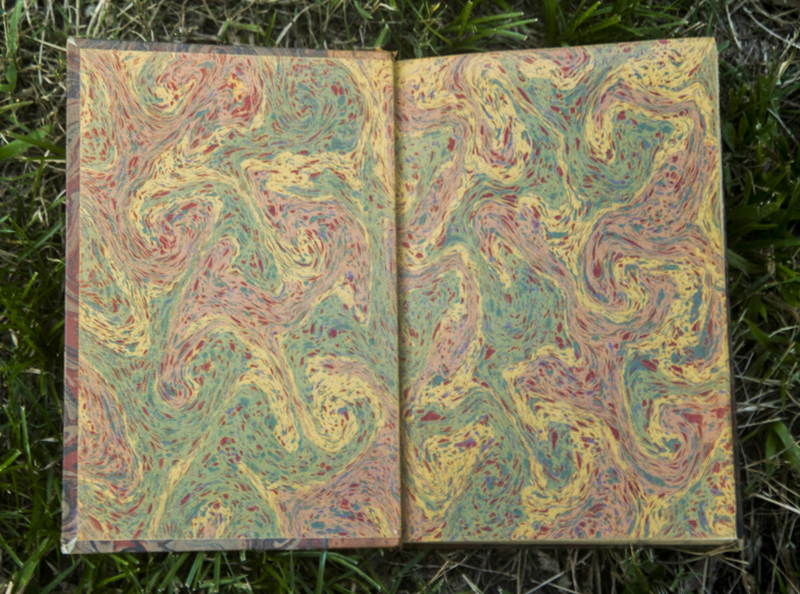 The marbled covers and marble inside cover are a beutiful sea of colors. 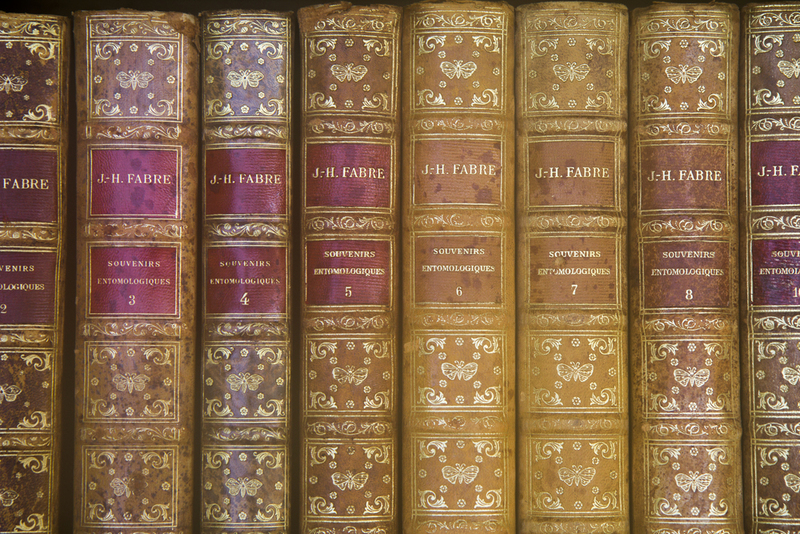 And the spines are so beautifully and intricately gilded. Someone put a lot of care into them, And I always have an appreciation for small caps done well. Whoever designed them knew these would get their own shelf and made them a statement. It's hard to rationalize buying an entire book set in a language I don't speak, but I thought to myself maybe I could compare the stories and learn that way. There's something romantic to it, I think, to knowing solely Entomological French. I have a bad habit of collecting vintage books, it's a serious problem... and I love it. One of the collections I treasure most is every issue ever of Flair Magazine. I initially bought Flair Annual (center), and watched everything "Flair" on Ebay and less than a year later I got these collectible binders with the magazines enclosed. As you can see what was really remarkable was the way she considered how the reader uses the book, the joy of turning the page, and in short sheets, how covering and revealing one part of a page changes it entirely. 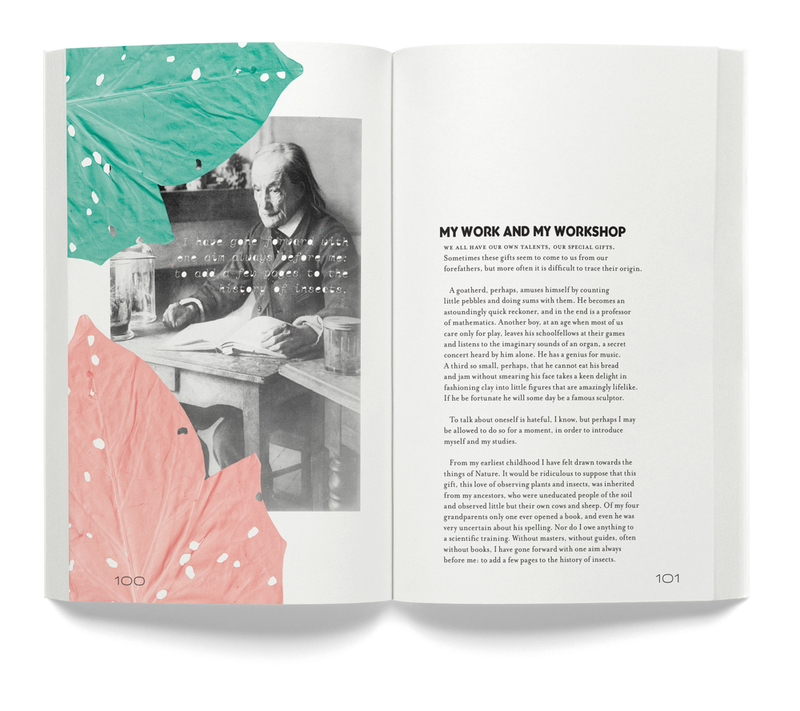 Look below, the way the the reader is invited to joyfully interact with the book. I also enjoy the limited use of color, as is visible here, it really draws the eye in. everything had a personal touch and it was all her own, all the way back to a navy sheet with metallic writing in the first issue, introducing the reader to her "Flair."